Dalai Lama discharged from New Delhi hospital - Jago Times "English Edition"
The Dalai Lama left a New Delhi hospital on Friday after three days of treatment for a chest infection, but the 83-year-old will need several days of rest before returning to his Himalayan base, his spokesman said. “His Holiness the Dalai Lama was discharged from the hospital this morning,” Tenzin Taklha told AFP. “He is doing very well now.” “He has recovered from the chest infection he had suffered from and will be taking several days of rest in Delhi before returning to Dharamsala,” he added. 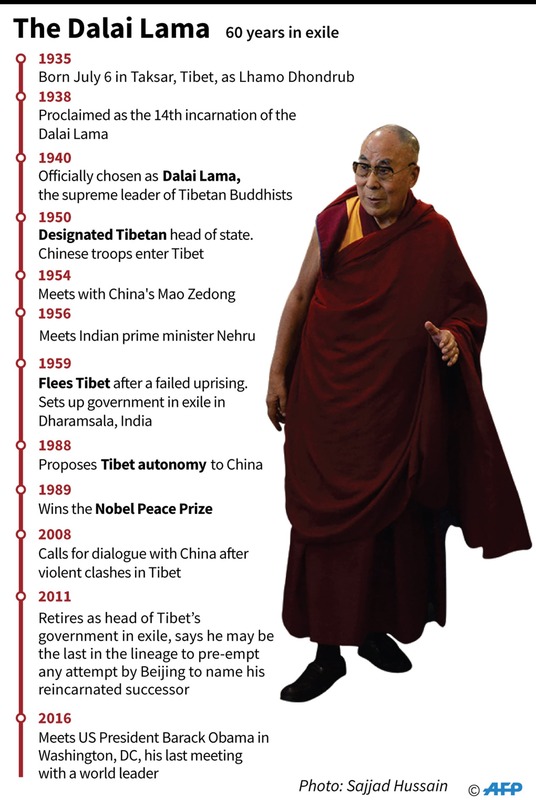 In India, he set up a government-in-exile and launched a campaign to reclaim Tibet that gradually evolved into an appeal for greater autonomy — the so-called “middle way” approach. The Tibetan spiritual leader enjoys wide support across the partisan divide in Washington, where a senator raised the issue of his succession at a hearing on Tuesday.